It has long been an ambition to visit Edinburgh and despite visiting Scotland many times, finally this year I made it to this wonderful city in festival season. 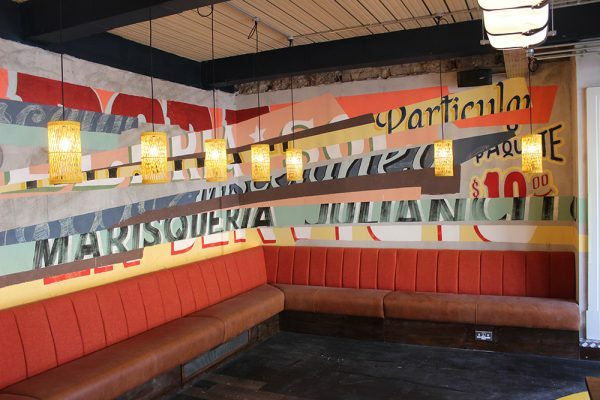 All thanks to my on-going art consultancy work for Wahaca. For this site it was a pleasure to work with American artist Max Rippon, someone whose art I have admired and previously published in my Street Sketchbook Journeys book and also commissioned to design it’s book jacket. Years later the time was right to work with Max again, to showcase his unique style of typographical abstraction. 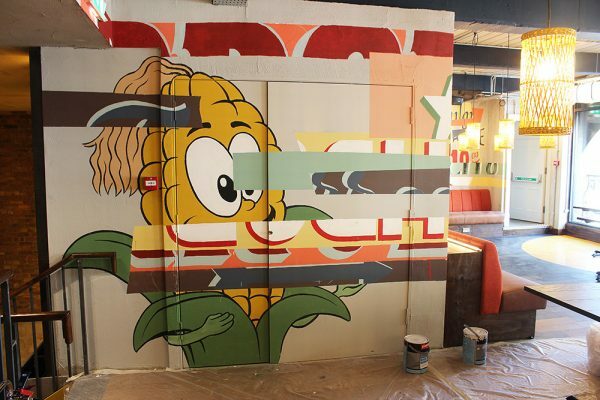 Having spent many years travelling, particularly in Latin America, Max has painted countless murals and graffiti pieces around the world, finding influence in local culture and vernacular signage. 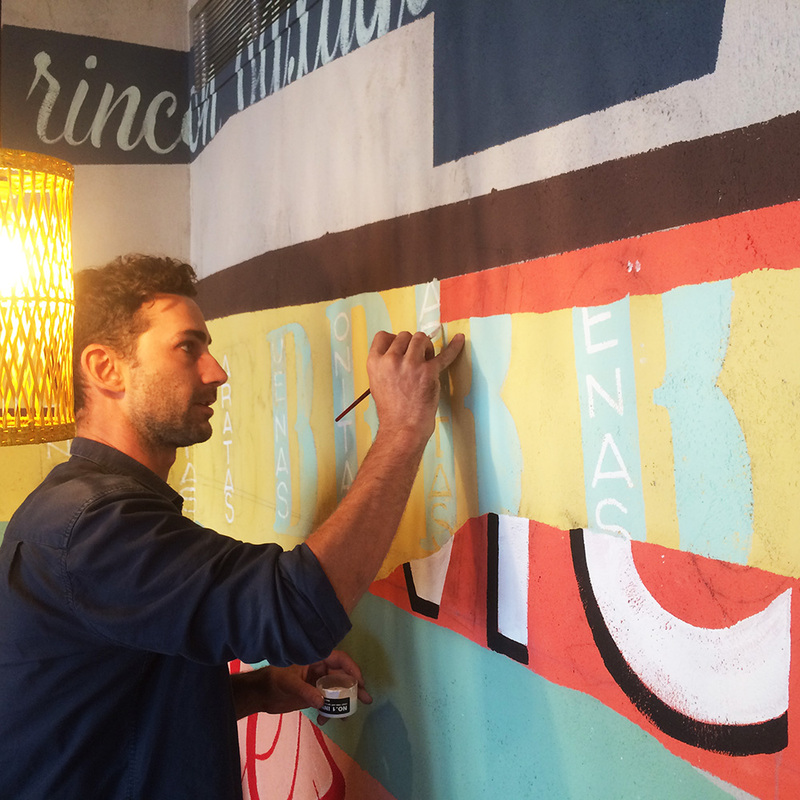 As luck would have it he had recently just visited Oaxaca and taken thousands of photographs or local graphic ephemera which provided a reference point for his work at Wahaca Edinburgh. While real street signs are Max’s inspiration this imagery is then filtered through his painterly approach, fractured and reconstructed, cut up and collaged. Colours are changed, typography deconstructed so that each piece of the painting become its an abstract piece in its own right. 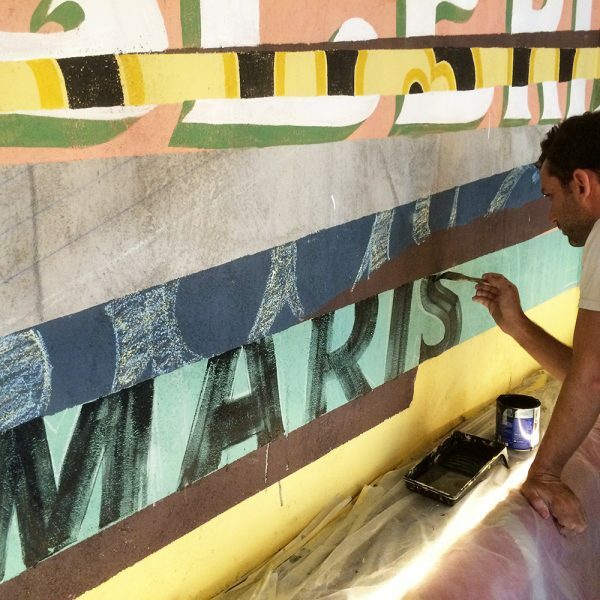 Although the results are strikingly contemporary he uses very traditional sign painting techniques learned from the trade – such as sketching out with chalk and creating pounce patterns with charcoal.